Former European Parliament chief Martin Schulz will on Sunday unveil his battle plan to challenge Chancellor Angela Merkel in Germany’s general election in September, hoping a wave of popularity will help him shake up the race. The former bookseller, who has spent the past two decades in Brussels, was catapulted to the frontline of German politics this week after the little-loved leader of the Social Democratic Party (SPD), Sigmar Gabriel, announced he was standing aside to make way for Schulz. Schulz’s surprise entry into the race provided the party with an immediate boost. An ARD poll showed support for the SPD climbing from 20 to 23 percent, while Merkel’s conservative CDU/CSU block lost two points, to 35 percent. A separate poll by the same public broadcaster found that if voters could elect their chancellor directly, Schulz and Merkel would be neck-and-neck. Merkel ultimately remains the favourite, but Schulz’s candidacy turns up the heat in an election where she is under pressure from the rightwing populist AfD party, polling at around 14 percent. 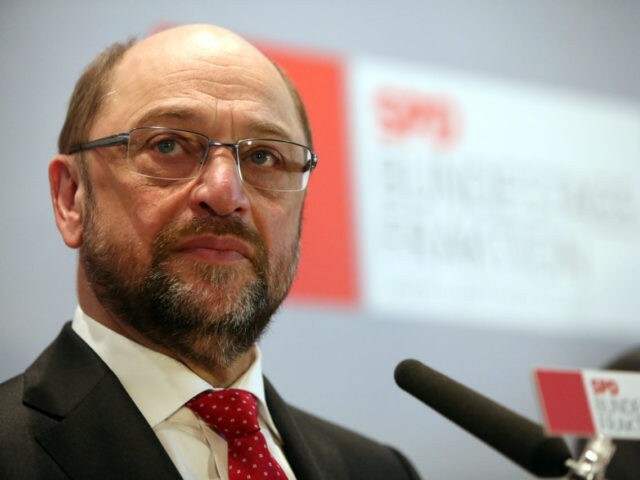 Schulz, 61, is scheduled to be confirmed as the SPD’s new leader in a party vote on Sunday. He is also set to spell out his strategy in a speech that will be scrutinised for his domestic vision after years on the European stage. In an interview with news weekly Der Spiegel on Saturday, Schulz said he was not running just so the SPD could stay on as junior partner in another Merkel-run coalition government. Even before Schulz’s candidacy Merkel had predicted that the coming election, in which she is seeking a fourth term, would be “more difficult than any before it”. Merkel’s conservatives suffered a string of embarrassing defeats in regional polls last year, as the anti-immigrant AfD gained ground by railing against her liberal refugee policy that has seen over a million migrants arrive in the country since 2015. But Merkel’s approval ratings have bounced back more recently thanks to a slowdown in new arrivals. At a time when anti-establishment, eurosceptic sentiment seems to be on the rise in Europe, Schulz is likely to make the case for a strong EU, while painting himself as an outsider who can bring a breath of fresh air to German politics. Observers say his popularity is partly due to the fact that he is known as a heavyweight politician, while not being too closely associated with the SPD’s lacklustre years governing in Merkel’s shadow. His modest background is also likely to appeal to voters in a climate of growing resentment against the political “elite”. An autodidact who speaks six languages but never went to university, Schulz wanted to be a footballer, a dream he had to give up because of a knee injury. He became mayor of the western German city of Wuerselen at 31, the youngest official to hold such a role in the state of North Rhine-Westphalia, and was elected to the European Parliament in 1994. He stepped down as its president two months ago, saying he wanted to re-enter German politics but without specifying his ambitions. The far-left Die Linke party has already urged Schulz to state whether he would be open to forming a three-party coalition also involving the Green party, hoping to force Merkel’s conservatives into opposition. The conservative daily Die Welt said in an editorial that “there is now an alternative (candidate) to Merkel who isn’t completely from the left or the right. This leads to euphoria”.